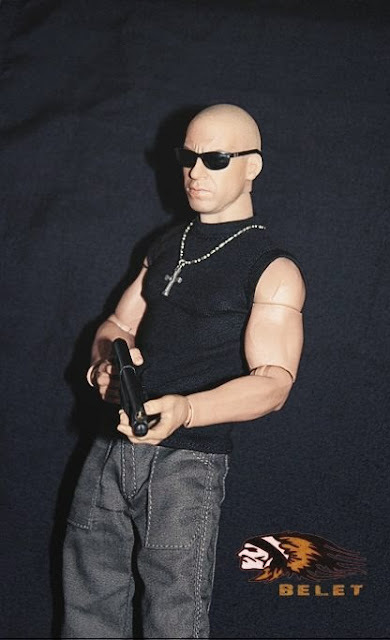 The Fast and the Furious is an American media franchise including a series of action films produced by Neal H. Moritz, which center on illegal street racing and heists, and various other media portraying the characters and situations from the films. Having earned $2.3 billion as of October 22, 2013 at the worldwide box office, it has become Universal Studios' biggest franchise of all time. 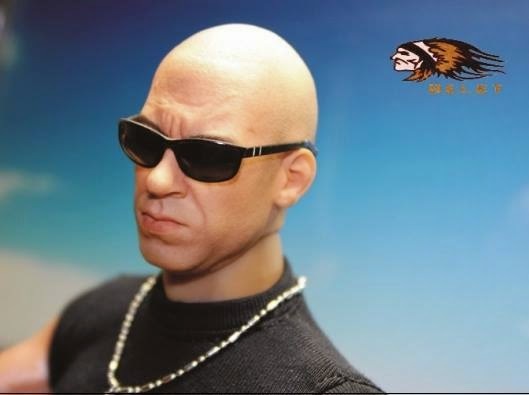 Dominic Toretto is a fictional character and the lead protagonist of The Fast and the Furious series. 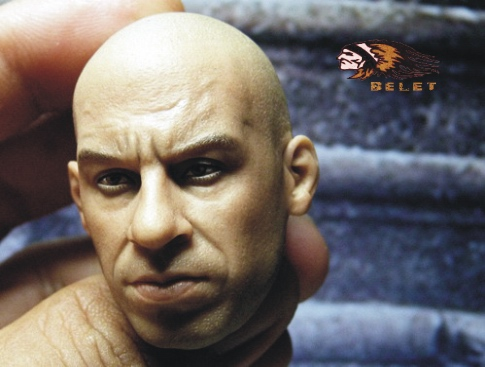 He is portrayed by Vin Diesel and was created by screenwriter Gary Scott Thompson. 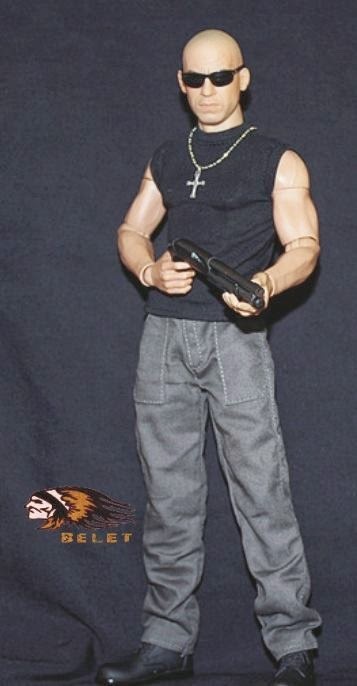 Dom is introduced in the first film of the series The Fast and the Furious (2001). 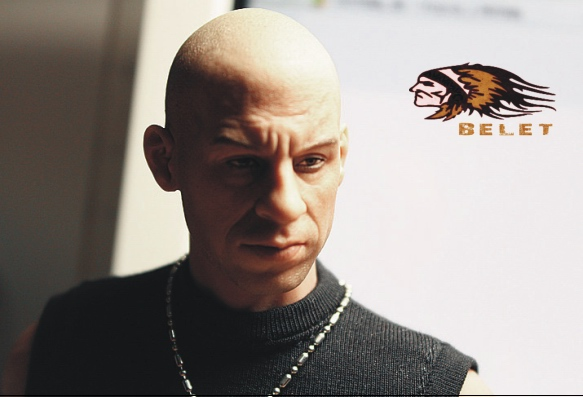 The role put Diesel on Hollywood's A-list, and won him the 2002 MTV Movie Award for Best On-Screen Team with Paul Walker. Diesel's portrayal of the character has been given much of the credit for the longevity of The Fast and the Furious film series, and the actor has become strongly identified with the character. 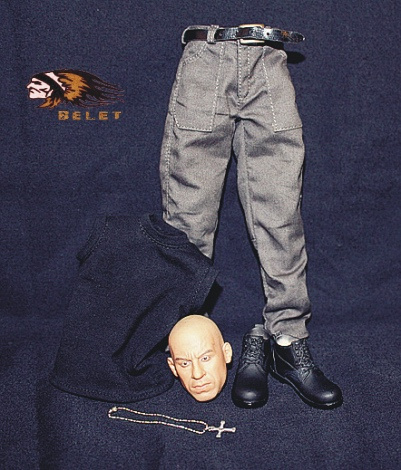 Belet 1/6 scale Speed Rider Outfit and Head Sculpt Set features: 1/6 scale Head Sculpt bearing a very close resemblance to Vin Diesel, Sleeveless T shirt, Pants, Belt, Cross necklace, Shoes. 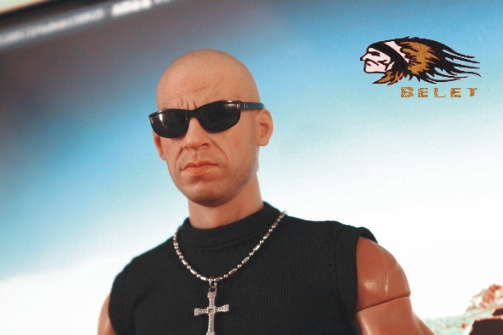 Note: 12-inch figure body and sunglasses not included (display only). 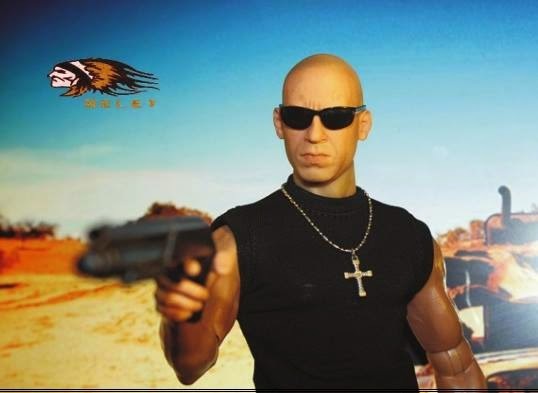 This is actually not too bad... why has no one made a decent Riddick?